East Hampshire Roofing Ltd - Roofer based in Waterlooville, Hampshire. 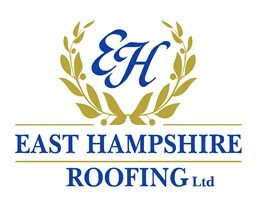 Welcome to East Hampshire Roofing LTD one of Hampshire’s most trusted premium roofing companys. With over 30 years’ experience we can provide you with a life changing service. From a full re-roof to a broken tile, we are confident that we are able to provide a long term solution for any situation. East Hampshire Roofing LTD will be sure to enhance your home, and with our 5 Million public liability cover you know we are a trusted creditable business. We are proud to trade in East Hampshire, and by covering all areas of the rural county including Petersfield, Langrish, East Meon and the rest of the Eastern stretch of Hampshire, we are extremely knowledgeable to the area. With a combined 30 years of experience. A combination of our previous work which has been undertaken ranged from Church roof renovation, to heritage private school roof maintenance. Petersfield, Liphook, Langrish, Buriton, Clanfield, Hambledon, Finchdean, Denmead, Droxford, Lovedean, Cowplain, Purbrook, Widley, East Meon, Haslemere, Catherington, Rowlands Castle, Emsworth.